Here is the Sprouts weekly ad valid through May 13, 2015. Sprouts Farmer’s Market is a specialty grocery store focusing on healthy and organic foods. This week in the Sprouts ad they highlight berries 3 for $5! This Sprouts Ad’s sale prices are valid for stores located in Grand Junction, Colorado. View the weekly ad for your area! Sprouts Farmers Market sales ad varies by region, so please check your local store for the most up to date ad. Sprouts focuses on produce, so you will always see it on the front page of their weekly ad. They only carry healthy food, including fresh fruits and vegetables, barrels of wholesome grains, nuts, meat and seafood. You will find their shelves lined with natural, organic and gluten-free groceries. Sprouts releases their weekly ad every Wednesday morning in the newspaper circular. 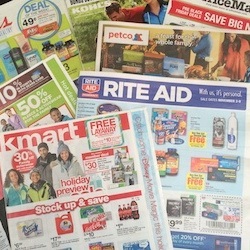 The full-color ad is generally 4 pages in length printed on news-type paper. The deals in the ad are valid from Wednesday to Wednesday, which means every Wednesday the sale prices from both ads are valid, which makes it a great day to go grocery shopping.